The hype surrounding Acrylic Pouring (Acrylic Fluid Art) started in the US and spread like wildfire in the rest of the world. The techniques are diverse and open up to each artist an infinite range of interesting color schemes, color gradients, cell formations and varied design variants which often produce unpredictable creations. For beginners of acrylic art the pouring is a great way to get a feel for acrylic paints. Successful experiences are guaranteed, provided you observe some basics. My guide to the Pouring basics should provide a short and easy way to understand the most important information to start immediately, with "step by step instructions" for your first own Pouring. Please feel free to subscribe my YouTube channel, so that I can always keep you up to date about my information and videos (just click on the button below) - Thank you! Definition of terms "Fluid Art"
Means simply "Liquid Art" and is used especially in connection with the use of acrylic paints, which flow due to the high flowability, in different methods on a painting ground. This acrylic art direction is called "Fluid Art". Definition of terms "Acrylic Pouring"
Means "acrylic flow technique". With this technique, diluted acrylic paints are usually poured onto a canvas and altered by inclining the surface in its gradient. The creative variations are created by the selection of suitable materials, ie paints, binders, oils and other additives that are added. Various admixtures and techniques can be used to create cell structures in various forms. The workplace is of course dependent on the size of the canvas to choose. Since the paints for the acrylic flow technique are applied to a horizontal canvas, I prefer to use a large, extendable table. Also from the working height this is perfect for me. Table covered with foil (Alternatively, an old wallpaper, newspapers, etc.). For smaller pictures, get a large box with a low edge (e.g. vegetable box) from the supermarket. One larger glass or cup for the commingled colors before applying to the canvas (for using the following techniques: Flip Cup, Dirty-Pour, Swirl). An old book or 4 equal height glasses, cups etc. as a pedestal, so that the paint can drip off easily and the canvas or the frame does not stick to the surface. Several flat wooden sticks (alternatively plastic spoons, etc.) to mix the colors with the pouring medium. Prepare one wooden stick per color. A roll of disposable wipes (absorbent paper towels, etc ...) to remove paint or scrub it off. Alternatively, or better yet, provide a bucket of warm water with a little washing-up liquid to wash off the dirty tools. 1 large jar with closure (eg pickles jar, etc.) to collect the ink residue (Alternatively, a waterproof garbage bag and a few disposable wipes for paint residue removal. I like to use old preserving jars to mix the colors, because they are curved on the glass bottom and thus mixing is simplified. Paint remnants should not be emptied into the drain, as the paint can quickly clog the drainpipe. I only wash my color glasses after emptying in a big jar for paint residues under a lot of running water. All colors have to be thinned so that they can flow more easily over the canvas. To get the desired fluidity of the paint, dilute the colors with a pouring medium (Additive for good flow characteristics) and possibly very little of water. The pouring medium binds the color pigments together and improves the flow properties without destroying the color structure. Take care when adding water. The addition of too much water can attack the structure of the acrylic paint so that the color pigments are distributed unevenly and the layer of paint can crack. In any case, always first mix the color with the pouring medium and only then add some water (myself I do not add any water). In order to produce so-called large "cells / color cells" on the canvas, it is best to additionally use high-quality silicone in addition to the acrylic paint and the pouring medium so that the colors separate better and different surface effects are created. In addition, also can also be used a flambé burner. But first on the topic of color. Depending on the "purse" you have to make the choice regarding the color (which manufacturer / which quality [strength of the pigmentation]) / rather liquid or rather impasto, so tough-liquid. The higher the pigmentation and quality of the color, the higher the color brilliance, but also the price. Since the colors already have a liquid consistency, you need less pouring medium to mix. Various acrylic paints are already basically a bit liquid and cheaper to buy; e.g. "Solo GOYA TRITON Acrylic" by C.Kreul, etc., etc. and are also gladly used. 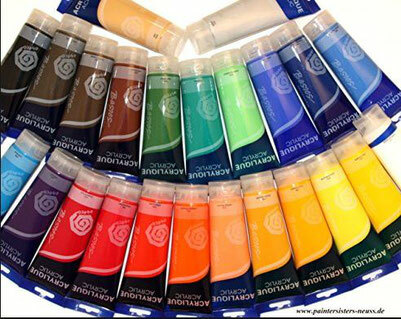 Buy high-quality, pasty artist acrylic paints and mix them with the pouring medium. I prefer this variant, because I need my colors, in addition to the Pouring, for my other painting techniques (squeegee technique, spatula technique). Buy more favourable acrylic paints and try it out first. For many Pouring fans, these colors are absolutely sufficient and do not burden the wallet so much. There are an infinite number of color additives that improve the flow properties of acrylic paint as a pouring medium. To emphasize, however, are 3 different productvariations that are very often used by artists. For one of the following options you should at least decide or mix a combination of 2 options. 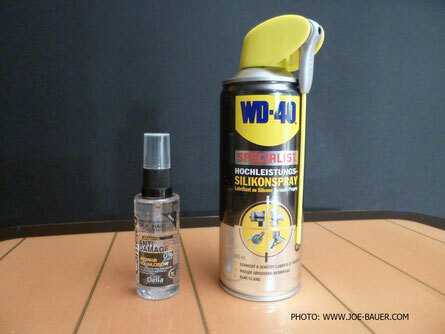 Note: This product is not recommended for use in combination with silicone-oil. Cracks can occur in the surface. 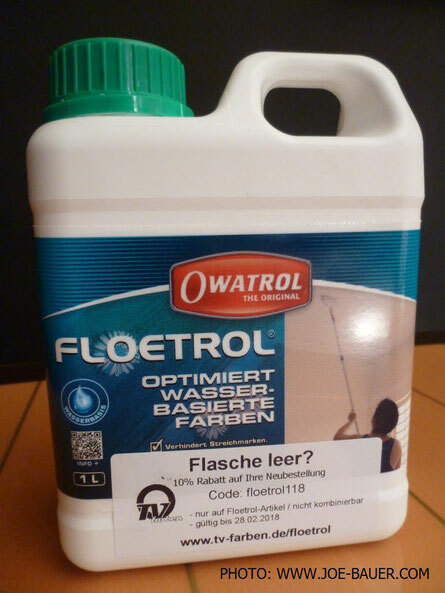 Was originally produced for painting works to improve the flow properties and to shorten the drying times. 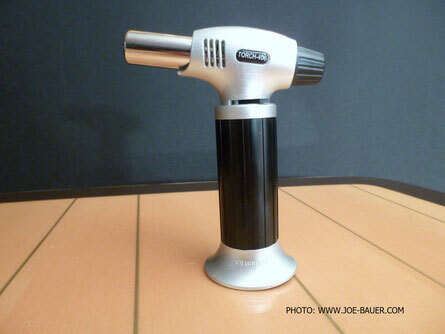 Is used by many Pouring fans as the only pouring medium. If you want cells, this product is a must to mix in your pouring. PVA binds the color pigments and can be diluted with water. 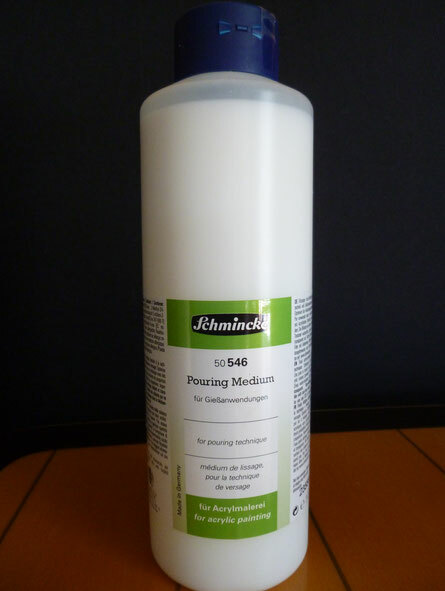 PVA adhesives are the least expensive pouring medium option. Disadvantage could be that the dried color looks dull. 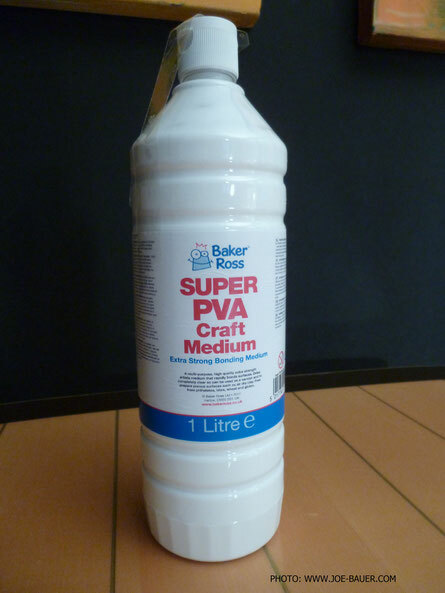 It is therefore advisable to mix the PVA adhesive with at least one other pouring medium. For my own Pourings I have tested all 3 options and was quite satisfied. 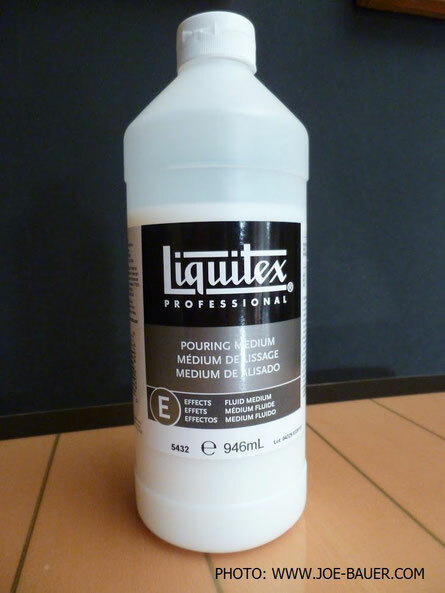 My first choice so far is Liquitex because of the high quality, with the other two options also bringing very good results. In my opinion, there is no basic "ideal recipe" here - why? There are too many possible variations and dependencies in the combination option (manufacturer / quality / product of pouring medium and color). Each color individually mixed in a glass, cardboard or plastic cup with the pouring medium, etc. and later - depending on the Pouring technique - with other colors. You should allow yourself plenty of time to mix the color. I mix a high-quality artist's paint with the pouring medium in a glass by stick for about 1 minute. Depending on the color and pouring medium (manufacturer / product / mixing ratio), careful mixing per color may take 2 to 4 minutes; but it's worth it …. Add 3 drops of pure silicone oil to 100 ml ready mix (paint + pouring medium Floetrol) after mixing, if many cells are desired. Add 3 or 4 drops of pure silicone oil to 100 ml of ready mix (paint + pouring medium Floetrol) after mixing, if many cells are desired. 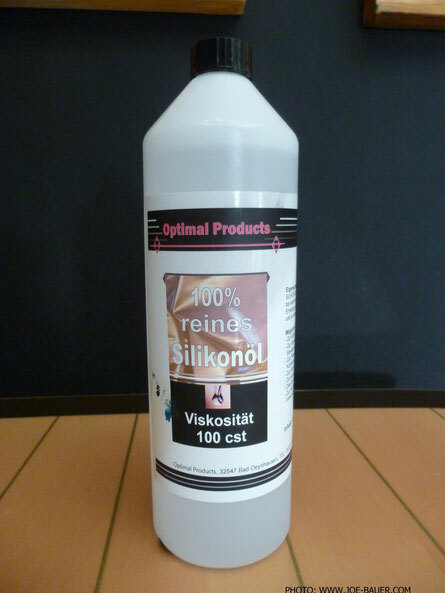 Add 3 or 4 drops of pure silicone oil to 100 ml ready mix (paint + pouring medium) after mixing, if many cells are desired. Why is the price of acrylics so different? The price series reflect the cost of the differently expensive pigments, which are contained in high concentration in the color. 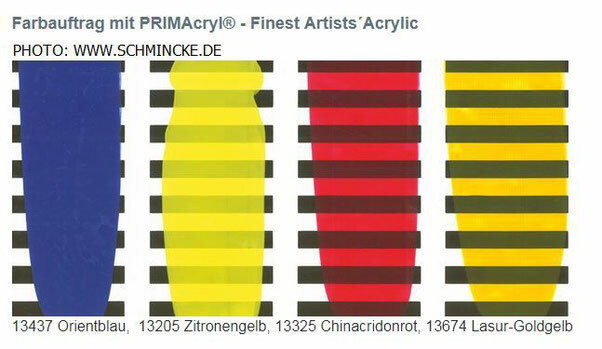 The best quality is the so-called artist quality; but also the most expensive color. Due to the high concentration of pigments but also requires much less color substance and can significantly increase the amount of a pouring medium when mixing. Natural possibility (without other means) due to the different color density per color, which - due to the laws of physics - enable cell formation. The easiest way to keep it under control, for me is the addition of silicone, and possibly the subsequent, careful to use my flambé burner. But even without the addition of silicone cells and structures already arise due to the laws of physics in the different density of each color. After the single color has been mixed well with the pouring medium in a glass, you can use about 3 drops of pure silicone oil or 3 short sprays of silicone per color (about 100ml) or per glass / cup onto the color-surface. If you want large cells, the wooden stick should only be pulled dead slow through the paint once or twice 1 to 2 times. If you want small cells, the wooden stick should be pulled several times and more often slowly through the paint, so that the silicone is more distributed in the paint. You can now additionally choose which colors should receive cells (ie add silicone) and which colors should have no cell formation or whether all colors should contain silicone. I usually add some silicone to most of the colors. I want to make a picture in which the color breaks white and should be displayed as a surface (layer) between the colors, but all other colors should form cells. Turquoise with large cells and all other color small cells. So just try for yourself how you can produce beautiful cells. For tests, a small pouring on a carton, etc. is sufficient in advance. However, silicone can also be used very well for clearer cell formation. This comes in the form of sprays or as a low-viscosity oil in bottle form. But other products that contain silicone can support cell formation (eg cosmetic products containing silicone). The best results I have received with pure silicone oil 100%, as the transparent silicone oil displaces the water-based acrylic paint and thus the underlying color layer shimmers well through. Tip: Since the silicone oil is added only dropwise, it may make sense to fill the silicone oil with a pipette in a small medicine vial. The number of drops to be added can be better controlled with a pipette. As a flambé burner I use a normal household burner that can be refilled with gas. The flambé burner should be used very carefully, as the color can be easily destroyed by the heat; i.e. keep the safety distance, always move the burner slightly and wait for a short while again when the silicone oil is drawn to the surface and the heat of the gas flame dissolves the overlying acrylic paint. This process always takes a bit and the cells grow in size after a short period of time after heat. So ... .. wait and see for a moment and then stop the burner in between or switch it off. Work slowly and carefully. Color density refers to the composition of color pigments, binders and solvents. This composition is different for each acrylic color but has a fundamental effect on the result. White is a very dense color; for example, black is a paint with less density. Now, if these two colors over or into each other, sinks after a few minutes, the dense color (white) down and the less density color (black) comes to the surface. In order to achieve a good result, one should also deal with the opacity of the colors and their effect in the pouring. Many pigments are inherently transparent or semi-transparent. Some shades, however, even without additives have a very high opacity. 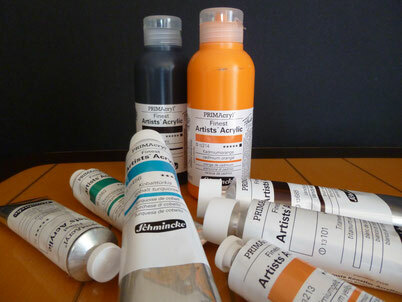 In the case of acrylic paints, the opacity can also be increased by adding white acrylic paint (eg titanium white). For most paint tubes, ink blanks, etc. these symbols are shown on the back. 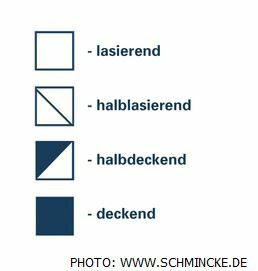 Unless a symbol is pictured on a color, one can easily find out the opacity of the color itself. The color must be used unmixed. To do this, paint a wide vertical line on a sheet of paper with a thick black permanent marker. Now paint horizontally a line with the respective color by brush. Depending on whether the black permanent marker line is still easy to see, not easy to see or can no longer be seen at the intersection below the painted color, the opacity is comprehensible. The best is to cover at least one color for each image, one color half opaque and one color transparent (translucent), and then add more colors to see the effects of different opacities in succession. The heavy, opaque colors become so-called "layers" (broken-up network structures that cause colors / cells to surface within their own structure). Surfaces will form which, due to the different opacity alone, allow different design effects. Mixed with a pouring medium and finally added a few drops of silicone, change the color structures also. In the Flip Cup technique, the individual colors are prepared / poured one after the other into a large glass before pouring, are no longer stirred and poured onto the canvas in one action. Mix each color well in a single cup with pouring medium using a wooden stick. Add a few drops of silicone oil and - depending on the desired cell formation (large or small cells) – mix in the silicone with the wooden stick . In a large glass or cup the individual colors successively and alternately, slowly empty but not stir. Turn the top of the canvas downside and place the canvas centered on the large glass / cup. Now hold the glass / cup with all the paint together with the canvas and turn it over again, leaving the glass turned upside down on the canvas surface. Wait a few seconds to allow the colors to flow down inside the glass / cup. Now lift the glass / cup in one jolt or move (alternatively tilt it to the side) so that the entire color can be distributed on the canvas. Now check the direction of flow of the dumped paint by tilting the canvas slowly in different directions. Instead of just one large glass / cup with different mixed colors, several cups of differently mixed colors can be placed upside down on the canvas; the problem is only then the everting of the other cups on the canvas without spilling the paint. Remains of paint that drip or drain as the stretcher tilts can be resumed with a paintbrush or a small spatula to subsequently refill small, colorless dots / areas on the edge of the canvas with the same color. In the Dirty-Pour technique, the individual colors are prepared / poured one after the other into a large container prior to casting, carefully stirred or pervaded with the wooden stick and poured onto the canvas in one action. In a large glass or cup the individual colors successively and alternately, slowly into empty and gently stir slowly a little / pull through the wooden stick. The result is therefore more unpredictable than the result of the flip cup technique; the color gradients are rather fused. Wait a few seconds to allow the paint to flow down inside the glass / cup. Now lift the glass / cup in one jolt / move (alternatively tilt it to the side) so that the entire color can be distributed on the canvas. Now check the direction of flow of the dumped paint by tilting the canvas in different directions. The Puddle-Pour technique is an easy-to-use casting technique. Here, the individual colors are poured one after the other directly onto the canvas. The first color cast on the canvas forms the base into which further colors are poured over each other or into each other. If necessary, add a few drops of silicone oil and - depending on the desired cell formation (large or small cells) – mix in the silicone with the wooden stick . Pour the first color (or a subset of it) on the canvas as a base. Pour more colors (or partial quantities of the prepared colors) alternately into the previously cast paint until the desired amount of paint is on the canvas. Now check the direction of flow of the poured paint by tilting the canvas in different directions. Swipe technique is a wiping technique. This technique can be used alone or combined with other techniques. The wiping or "wipe over the color" takes place at the end of Pourings eg with a paint knife, a spatula or a thick plastic foil (eg a cut-out, thick plastic flap of a folder). By wiping over the last layer of color, fluid movements and cells crystallize out better. For this technique, each color should be added with a few drops or a few spray silicone before the colors are poured. To implement this technique is usually at the edge of the canvas, after the casting and the distribution of color by tilting on the canvas has already been done, another color (often white, as this serves as the top layer for a network structure) on Poured on the edge of the canvas and slightly wiped / pulled over the other colors with one of the tools mentioned. With the help of the tools, the cover color (eg white) can be very thinly wiped over the other colors, so that the cover color only very finely covers the other colors and then slowly fades into the background. In a short time, the underlying silicone in the color mixture presses to the surface and releases the view of the underlying colors. By gently wiping two layers in both directions, the cover color is weaker. Use one of the techniques described (eg Flip Cup, Dirty-Pour, Puddle-Pour). Before completion, select a color for the overlying mesh (preferably white), pour on one or more edges of the canvas and gently wipe / wipe over the other colors with a tool until the underlying silicone touches the surface. In the Swirl technique, the colors are poured from a large vessel onto an already primed canvas and distributed in a ring. After that, you let the ring-shaped cast colors flow by tilting the canvas back and forth. If it is desired that only colors in the center of the circle should receive cells, the bottom of a large glass / cup can first be wetted with silicone oil, so that the silicone meets only at the end of the last cast colors. In a large glass or cup the individual colors successively and alternately, slowly empty but do not stir. Prime the entire surface of the canvas with a single color that is in contrast to the color selection. On the primed canvas, pour the different colors from the large glass in a slightly circular pattern to obtain individual color rings. Now control the direction of flow of the dumped paint by tilting the canvas in diferrent directions to make the color rings more visible. The string technique could also be described as thread / string technique. One or more cut threads / cords are immersed in the colors of the cups and later pulled over or by the Pouring. By drawing the cords soaked in acrylic paint, interesting color gradients and effects are created. The basis is one of the already described techniques (eg dirty-pouring or puddle-pouring). Mix each color in a single cup with the pouring medium. Then immerse one thread / cord in each color cup so that the string can absorb the paint. In a large glass or cup the individual colors successively and alternately, slowly in and carefully, slowly stir a little. Leave the threads / strings in the individual paint cups. Alternative: Puddle-Pour; i.e. pour the individual colors one after the other directly onto the canvas. If desired, prime the canvas first with a paint. Now check the flow direction of the poured paint by tilting the canvas in different directions. Finally, place the cords / threads of each color in the Pouring and slowly and carefully pull, so that different color gradients arise. As a primer pour an interesting contrasting color directly on the canvas. Then place the cords, soaked in different colors, meandering on the foundation and then pull the colored cords through the primer. Normally, acrylic paint dries very quickly - but rather with thick colors. This is unfortunately not the case with Acrylic Fluid Pouring colors, as we use a lot of color and additives. I usually let my Pouring works dry for 2 days at room temperature. In case of a later seal I would even prefer to start 3 days. In the drying phase, the canvas should be absolutely horizontal and level. Bumps could distort the frame within the drying time; so always just store. If your artwork meets your expectations and you want to protect your art from dehydration and dirt, you can still seal it at the end. Often, the seal additionally strengthens the luminosity of the colors. 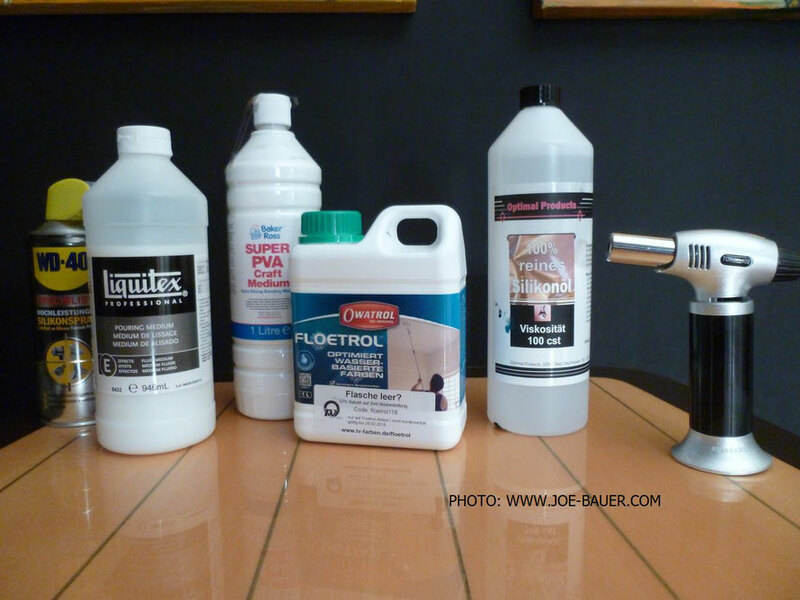 Acrylic finishing varnish is a colorless acrylic varnish. For all my pictures I use either the final varnish "silk matt" or "glossy" from Liquitex - depending on the desired effect. There are similarly good products from other manufacturers as well. The advantage here is the simple and perfect application of the varnish by brush. The varnish liquid can be used directly from the bottle and is very good and uniform spreadable. No blistering. The subsequent drying time is then only a few hours. To be exact, however you need a special resin - epoxy resin is needed for our purposes. The epoxy resin is mixed together with a hardener. 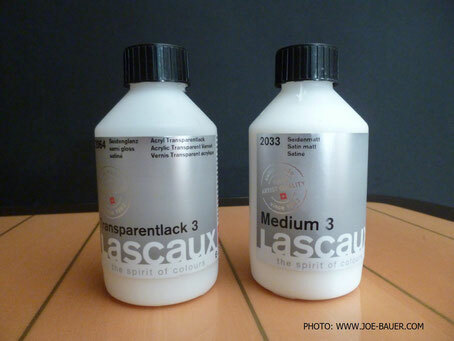 This sealant variant is much cheaper than the seal with acrylic varnish and gives, if the products are good and the mixing ratio is right, also a high-gloss result. Mix the epoxy resin and hardener in the right proportions (mostly written on the packaging) and produce the right amount (about 300 - 400g per square meter of image area). Pour slowly on the image and spread gently and slowly with a spatula until the entire surface is evenly wetted. If blistering occurs, wait and see if the air bubbles disappear by themselves. If necessary, help gently with the spatula. The air bubbles disappear very easily with the use of a flambé burner (observe safety distance and burn just a second in movements over the surface). The subsequent drying time is only a few hours. So far .... that’s it .... for my opinion the most important knowledge for your successful Pouring. I hope it has been described briefly enough for you and still informative enough, so that you have received some suggestions and thus want to try a few variants and options. Of course, my blog can’t claim to be complete. If I have prescribed myself or I have confused something I would be very happy about your comment! And now have fun with the Pouring ... and thank you in advance for all "likes" on my YouTube videos! Note: Pls. feel free to subscribe to my YouTube channel (click on the button below); then you always get new tips and suggestions from me ..... see you and thx! BLOG "BASICS OF ACRYLIC PAINTING"
Interesting links to blogs and articles on the topic "Acrylic Pouring"
Interesting Facebook-groups on the topic "Acrylic Pouring"
Personal note: For this version of the blog on my private homepage, I have partly used texts or phrases from the above sources / links (see "Interesting links to blogs and articles ...") and / or presented also in my own interpretation.